Hey everyone! Welcome to another bi-weekly update from the team at Standard Library. 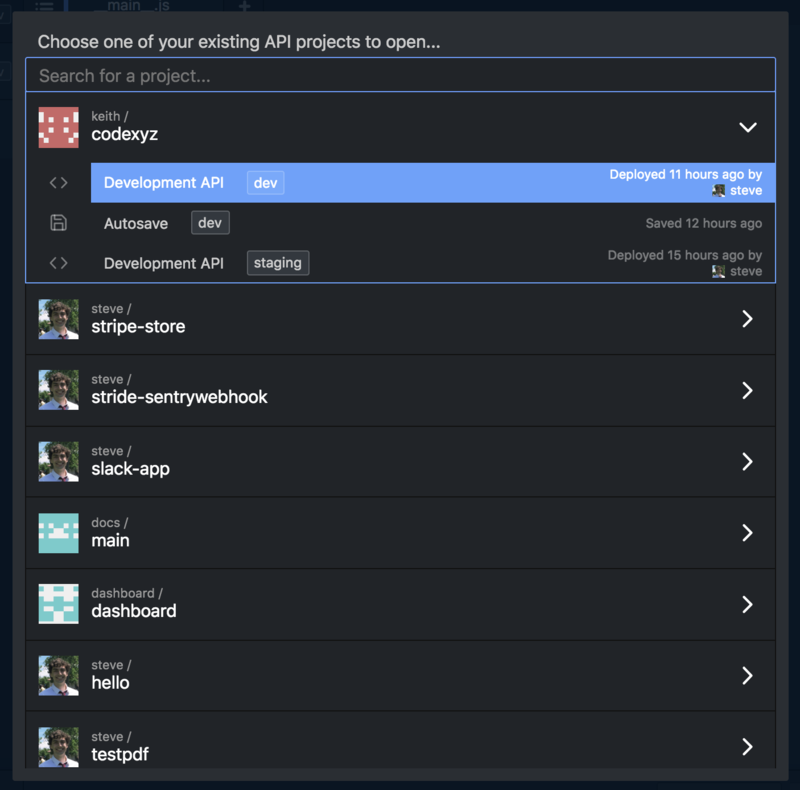 This week we have something special for you: we've updated the API Project browsing and Source (template) finder on Code.xyz. We've also managed to knock out a few long-standing bugs, and made a few usability improvements. Excited to show you! Before we get to that, we'd like give a really special thank you Murshid Hassen (@MurshidHassen) for his kind words this week — we've been working really hard to ship updates and every piece of receptive feedback makes the team feel awesome! I have no words but to congratulate @StdLibHQ It's just Awesome 😋😂😘. AWS and Azure Functions. They both kind selling Keith's idea. Again, thank you! If you enjoy using our products, feel free to let us know on Twitter. We've updated our Project / Source (Template) management UI for a better landing experience on Code.xyz. And our New Project UI is a full landing page experience, with integrated source loading as well. If you'd like to check it out yourself, you can visit Code.xyz in your browser, or simply check out the embed below. Please note: on smaller screen sizes there's a <> Projects and <> Sources button to switch between interfaces, including in this embed. That's it for this blog update, we hope you enjoy playing with the new UI! As we continue to bring API collaboration front-and-center you'll see more of a focus on sharing and API sources (templates), this is just the beginning. As usual if you need to contact us, please feel free to join our Slack workspace.